In Praise of Darwin This Sunday . . . In Hundreds of Churches! This Sunday, over 400 congregations in 49 states in the USA will participate in “Evolution Sunday.” They will be celebrating the 197th anniversary of the birth of Charles Darwin. How did “Evolution Sunday” come about? Zimmerman encouraged clergy across America to sign a letter that supports evolution and rejects the Genesis account of creation as literal history. Using the university’s website, Zimmerman encouraged clergy across America to sign a letter that supports evolution and rejects the Genesis account of creation as literal history. As we posted this, over 10,200 clergy had signed this awful letter. The next step for Zimmerman (again, using the university’s website) was to solicit donations so that funds could be obtained to publicize this clergy letter and to gain exposure across the nation. He set up an arrangement with an organization called The Christian Alliance for Progress (CAP) to accept tax-deductible donations for his national project. What does CAP believe? 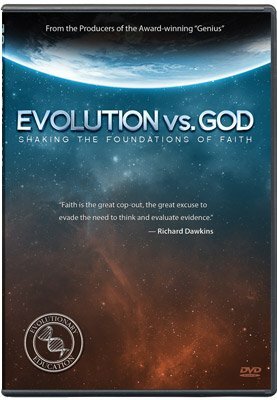 Thousands of pastors have now made a public statement to say that what they call “faith” and what they deem “science” (by which they mean “evolution”) are compatible! Do you see the irony? The clergy supporting evolution, but the evolutionary, secular humanist insisting such a position is untenable. Dawkins has stated that evolution led him to his atheism. But . . . Dawkins is right this time—evolution and Christianity are incompatible. In the TV program, Dawkins often attacked Bible-believing Christians with strident comments, such as: “Fundamentalist American Christianity is attacking science. But what is it offering instead? A mirror image of Islamic extremism. An American Taliban.” The next scene showed the burning towers of the World Trade Center in New York City on 9/11. Dawkins likened Christians to terrorists! To understand the likes of Osama Bin Ladin, you have to realize that the religious terrorism they inspire is the logical outcome of deeply held faith. But as far as I’m concerned, the war between good and evil is really just the war between two evils. So, Christians are equated with Bin Laden and his terrorists! At the same time, atheists like Dawkins (who continually have Channel 4 and the BBC at their disposal to influence millions of viewers) take glee when they see the clergy supporting evolution. Even though Dawkins unflatteringly calls them “fence-sitters,” he sees their compromise as a step towards atheism, for he expects that the next generation in the church will probably see the inconsistency of the clergy’s beliefs—and they will soon give up the Bible altogether. Thankfully, even though thousands of clergy have compromised, there are thousands who have “not bowed the knee to Baal.” We are finding more and more pastors who are standing up for the authority of the Word, including those whom the Lord has prompted to use creation resources to equip the church to defend the Christian faith against the onslaughts of evolutionary humanism. AiG is working on special materials and outreaches so that in the near future, we can begin promoting a “Creation Sunday” . . . or perhaps even a “Creation Week.” This would be a time when Christian leaders and others will have the opportunity to take a public statement that they are standing on God’s infallible Word! “Evolution Sunday” will attack God’s Word this weekend. Sadly, it may lead many more people to hopelessness and despair. But a “Creation Sunday” (or whatever we decide to call it) will one day make a statement of hope to a dying world—the same message that AiG proclaims through its resources, conferences, this website and the future Creation Museum! The war between Christianity and secular humanism is really heating up now. Dawkins and other prominent evolutionists are using the airwaves time and time again to aggressively attack Bible-believing Christians. Christians need to communicate a positive message to the world that the Bible is true from the very first verse. We have seen some sermon outlines that indicate that many pastors will be lauding Darwin this Sunday.